Speaking Services - Jeffrey Nall, Ph.D.
Jeffrey Nall, Ph.D. is noted for delivering accessible, engaging talks that infuse passion, compassion and reason. Dr. Nall can aptly engage a variety of groups, from teens to mature adults, in a variety of environments, from the classroom and lecture hall to the coffeehouse and the pulpit. Nall is particularly adept at weaving audience dialogue into his less formal lectures. For more information about Dr. Nall's background see About page. 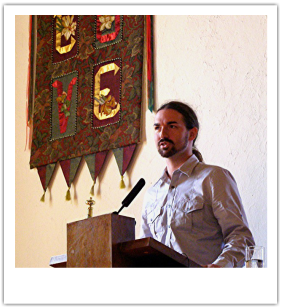 2010: Nall delivers Sunday Service lecture, “The Problem of Militarism,” at Vero Beach Unitarian Universalists, Fl. 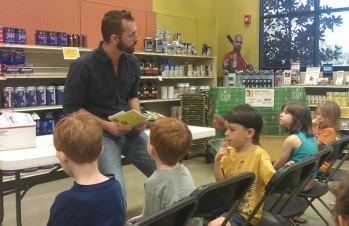 Nall leads Kindergarten co-op class on fair trade in Port St. Lucie, Fl. Panelist for faculty discussion on news media, Center for Media and Journalism Studies. Indian River State College, Ft. Pierce, FL. Toward a Democracy with Rights, March 15-17, 2012, at the University of Florida. Democratic Women’s Club of Martin County, Fl. American Men’s Studies Association annual Men and Masculinities conference, March 25-28, 2010, in Atlanta. Unitarian Universalist Church of St Pete, St Pete, FL. Georgia Humanists Association, Roswell, Georgia. American Humanist Association annual conference, June 3-6, 2010, San Jose, CA. Unitarian Universalist of St. Pete, St Pete, FL. Florida Consortium for Women’s Studies Conference, April 1, 2011, at Florida Atlantic University, Boca Raton. 2nd International Humanities and Sustainability Conference, October 7-9, 2010, at Florida Gulf Coast University, Fort Myers, FL. Unitarian Universalist Church of Brevard's seminar, “On Peacemaking,” in Melbourne, Florida. Space Coast Progressive Alliance Monthly Social, Melbourne Village, Florida. 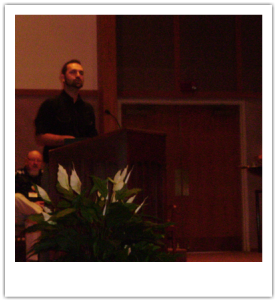 2009: Nall addresses congregants at Unitarian Universalist of St. Pete.